Lisa is a Vistage Chair, Trusted Advisor & CEO of Lisa H Harrington LLC. Call her today to join Vistage, where our members grow 2.2 times faster than average! The group is forming now! Membership includes monthly peer advisory board meetings for execs plus one to one coaching, and more. 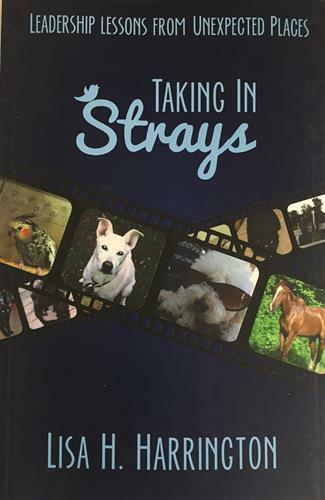 Lisa book, Taking in Strays: Leadership Lessons from Unexpected Places, is a fun take on leadership lessons, and would make a great gift for your staff. Or, book training or an engaging keynote presentation on leadership, customer service or sales or strategic management. Buy the book here or on Amazon.